Christmas at Wildwood - Festive Fun Night, Santa & Trees! Saturday 14th December from 4pm - FREE entry! Come along to Wildwood on Saturday 14th December for an evening of Festive Fun including live music, craft stalls and the Wildwood Grand Christmas Raffle - to be drawn by the Lord Mayor of Canterbury. All proceeds from the event will go towards Wildwood's Pine Marten Appeal to build new pine marten breeding enclosures at the park. The fun starts at 4pm and features a mini Christmas market selling a range of local crafts and produce including jewellery, aprons, Christmas decorations and gifts, homemade jams, pickles, chutneys and handmade fudge. 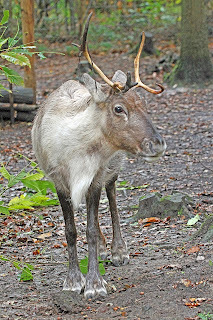 There will also be include live music, candle-lit walking tours to see Wildwood's reindeer, a static birds of prey display by Falconry South East, festive food and drink, kids Christmas crafts and the chance for children to write and post their letters to Santa. The evening's entertainment will be centred around our stunning Christmas Grotto, lit with fairy lights, lanterns and open fires. The Wildwood Grand Christmas Raffle, featuring prizes donated by local businesses and attractions, will be drawn by the Lord Mayor of Canterbury at 5pm. The prize list includes Wildwood zoo keeper for a day, DFDS ferry crossing, dinner at the Michael Caines Restaurant in Canterbury, go-karting at Buckmore Park, a family ticket to Leeds Castle and a family ticket to the Cinderella pantomime at Theatre Royal, Margate. There will also be the chance to win toys and games in the toy tombola; all prizes donated by suppliers to the Wildwood shop. Raffle tickets are on sale at Wildwood or call 01227 712 111. Santa's grotto will be open for visitors on a drop-in basis from 5pm onwards, tickets are £7 each and include a present for every child. Visits to Santa before 5pm will need to be pre-booked by calling 01227 712 111. Ark toys, Aurora, Buckmore Park, DFDS Seaways, Diggerland, Falconry South East, Fenwick, Fudge Kitchen, Hever Castle, Hornby, Leeds Castle, Maidstone leisure, Michael Caines restaurant, Canterbury, Odeon cinemas, Quay Imports, Quex foods, Quex Paintball, Sainsburys, Salon Chique, Smugglers Retreat, Theatre Royal Margate, Wickes, Wildwood Restaurants. We have lots going on at Wildwood this Christmas! Our magical grotto is ready and we await the arrival of Santa Claus who will be at Wildwood with a big sack of toys for (good) boys and girls. Every child gets a special present from Santa! Visits to Santa are £7 per child (includes present from Santa). Photos will also be available for an extra charge. Please note that membership or entry fees must also be paid for all visits before 4pm. Visits after 4pm do not attract membership or entry fees, as the rest of Wildwood will be closed. To book call 01227 712 111 - spaces are limited so please book early to avoid disappointment. Beautiful, locally grown trees available to buy now from the Wildwood Shop. 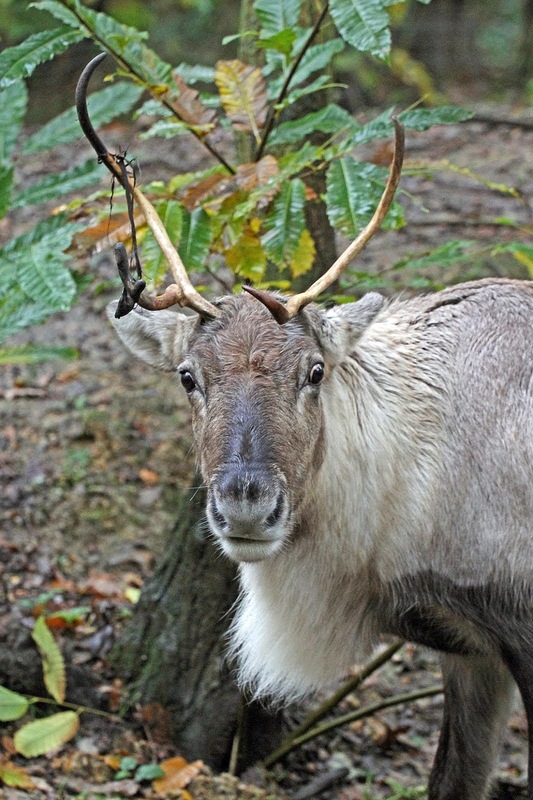 Wildwood is delighted to introduce two new reindeer to the park! The festive pair, a mother and daughter from the West Midlands Wildlife Park, are the latest additions to our extensive collection of native and once-native British Wildlife. 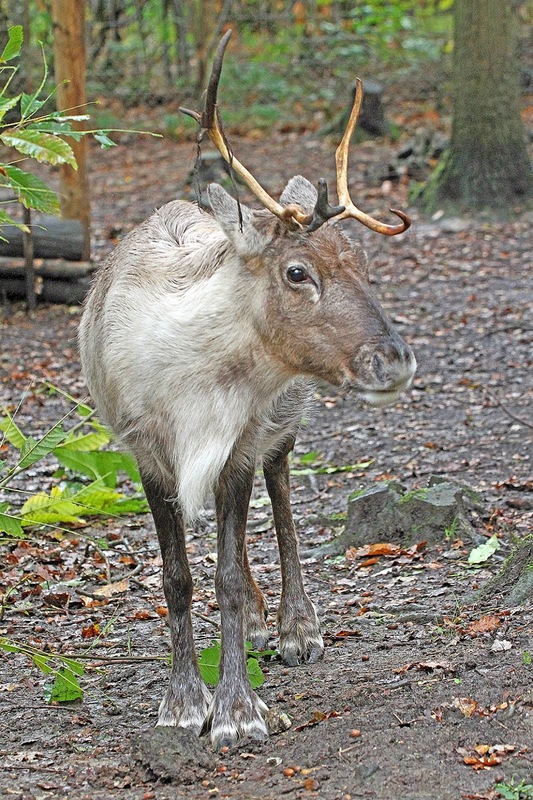 Chief executive, Peter Smith said "We are delighted to have reindeer at Wildwood; they are a fine example of a once-native animal that has been lost to the UK. We hope they will both delight our visitors and inspire them to help us in the fight to save our native wildlife." The mother is a four year old called Holly, whilst her daughter is yet to be named. We will be asking our supporters to choose a suitable name for the youngster in the next few days via our Facebook page. 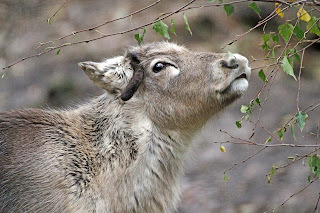 Visitors can see the reindeer in their enclosure close to the Bat Flight Centre. Wildwood Trust will be open late for an evening of Festive Fun including live music, craft stalls and the Wildwood Grand Christmas Raffle - to be drawn by the Lord Mayor of Canterbury. All proceeds from the event will go towards Wildwood's Pine Marten Appeal to build new pine marten breeding enclosures at Wildwood. The fun starts at 4pm with a mini Christmas market selling a range of local crafts and produce, with Santa's grotto at the centre of a woodland wonderland area, lit with fairy lights, lanterns and open fires for the evening entertainment. The Wildwood raffle, featuring prizes donated by local businesses and attractions, will be drawn by the Lord Mayor at 5pm. The prize list includes Wildwood zoo keeper for a day, DFDS ferry crossing, dinner at the Michael Caines Restaurant in Canterbury, go-karting at Buckmore Park, a family ticket to Leeds Castle and a family ticket to the Cinderella pantomime at Theatre Royal, Margate. There will also be the chance to win toys and games in the Wildwood Children's tombola; all prizes donated by suppliers to the Wildwood shop. Other evening entertainment will include live music from local bands, candle-lit walking tours to see Wildwood's reindeer, a static birds of prey display by Falconry South East, Christmas crafts and the chance for children to write and post their letters to Santa. Wildwood urgently needs your help to save dormice this winter. This winter Wildwood really needs your help to save vulnerable young dormice. The strong winds and persistent heavy rain have been disastrous for these tiny creatures, destroying their nests and leaving many unable to survive. Every year Wildwood steps into action to house rescued young dormice and this year the conditions are exceptionally harsh, stretching our limited resources. Dormice are some of the most endangered mammals in Britain, so it's vital that we act to protect our remaining wild populations. We urgently need funds to pay for their care, food, vets' bills and for repairs to our woodland dormice enclosures. Please will you help Wildwood to save baby dormice this winter? Thank you - we really appreciate your support.